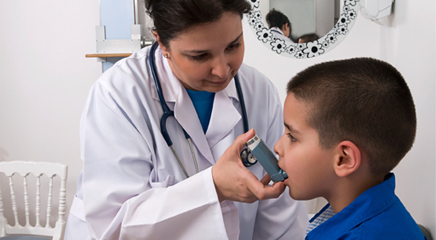 The discovery of a genetic variance associated with poor response to inhaled corticosteroid treatment among children with asthma may help guide the development of new therapies for difficult-to-treat asthma cases. Gurjit Khurana Hershey, MD, PhD, of the Cincinnati Children’s Hospital Medical Center, and colleagues collected nasal epithelia cells from children aged 5–18 who were admitted through the Center’s emergency department and hospitalized for treatment of asthma. Cells from a second group of patients were also tested to verify the results of the first group, bringing the total number of study participants to 57. After testing all cells for comparative VNN-1 expression, the group found that cells from patients whose asthma did not respond well to inhaled corticosteroid treatment had a biochemical variation in the VNN-1 molecular network that hampered its expression. This was also confirmed in laboratory mouse models of asthma as well. With this data suggesting that therapeutic targeting of the VNN-1 pathway can improve outcomes for asthmatic children who do not respond to inhaled corticosteroids, the researchers are currently testing drugs to target the VNN-1 pathway to gauge their efficacy for difficult-to-treat asthma cases.